This card is clearly postmarked ‘BAD HARZBURG 8.8.81’ and I received it shortly after arriving to live and work in Norway. It sounds as though Vanessa would have preferred a beach holiday to an inland holiday, despite the lake and the swimming pools offered at the military base. 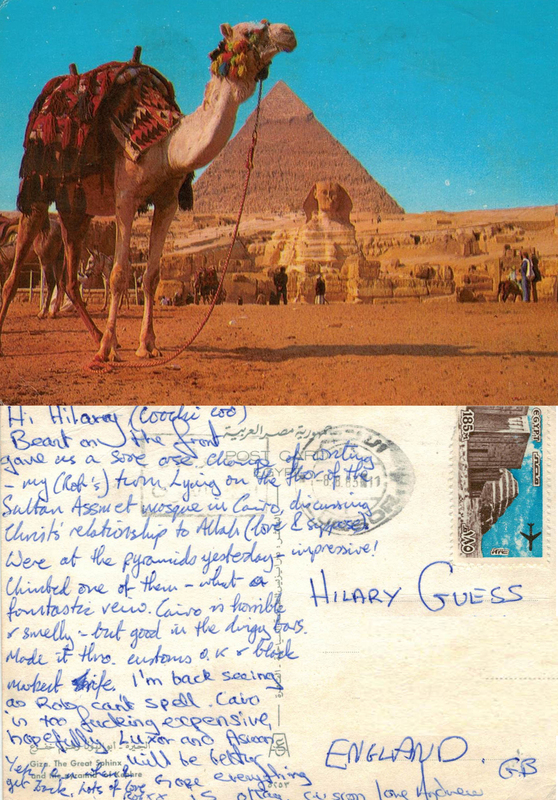 This card features another Christmas Greeting from Germany – the cards are very similar and sent just a year apart. The German text roughly translates as ‘A merry Christmas and a happy new Year’. The postmark is clearly visible and is dated ‘FALLINGBOSTEL 21.12.79’ There is another postmark promoting the town of Fallingbostel with its Kneipp Spa and Luftkurort. Schloss Rheydt, featured on the 60 pfennig stamp, is a Renaissance palace in Rheydt, Mönchengladbach. The stamp is part of the definitive series issued in 1977 featuring strongholds and castles. Claudia is enthusiastic about her visit to Paignton from Germany, although we are left wondering what the purpose of the visit is and how long she is staying. I love the rhyme on the front of the card and the idea of leaving ‘Household chores’ behind! 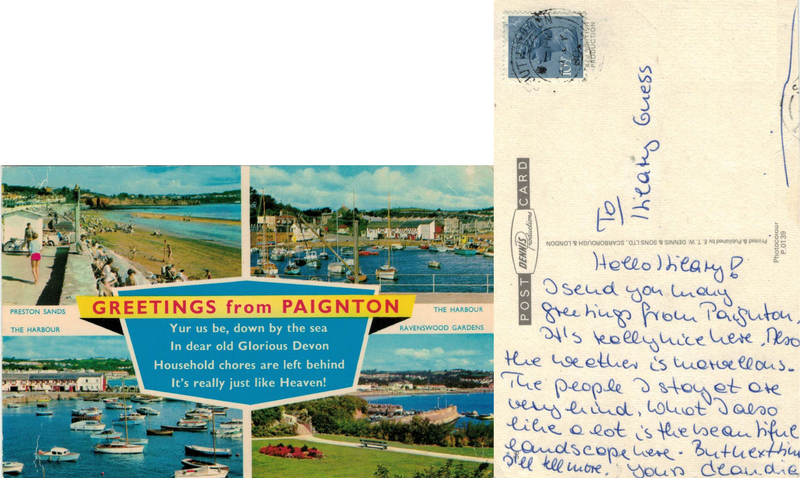 The postmark says ‘SOUTH DEVON’ but the rest is obscured, apart from the ’80 in the lower part; however, the ‘marvellous weather’ suggests summer time. The stamp is a 10½p dull blue definitive.